The last 3 months have been rather interesting for us as we gained lots of media attention, reached new milestones, switch strategies and extensively build Bountie 1.0. Honestly, it has been a sprint for us but we are not planning to slow down. We appeared on National TV – We were featured on the News for Channel 5 & Channel News Asia on being an esports blockchain platform. Expanded our presence in Malaysia and Thailand – Bountie focuses on being no.1 in Asia and we’ve worked hard to build our brand. Thanks to Global Innovation Alliance Thailand and MillionaireAsia (Malaysia), we have expanded beyond Singapore. We are incredibly excited to be having more events and roadshows in Asia. Success in challenging the status quo – Years ago, the thought of gamers getting paid to play would have been laughed at. Bountie is changing that and has been featured on Forbes, EsportsInsider, 938Now Radio and many more. Reached 20,000 Telegram users – Early in Q2, we reached a new high of telegram users who have shown interest in both Bountie’s platform and ICO sale. 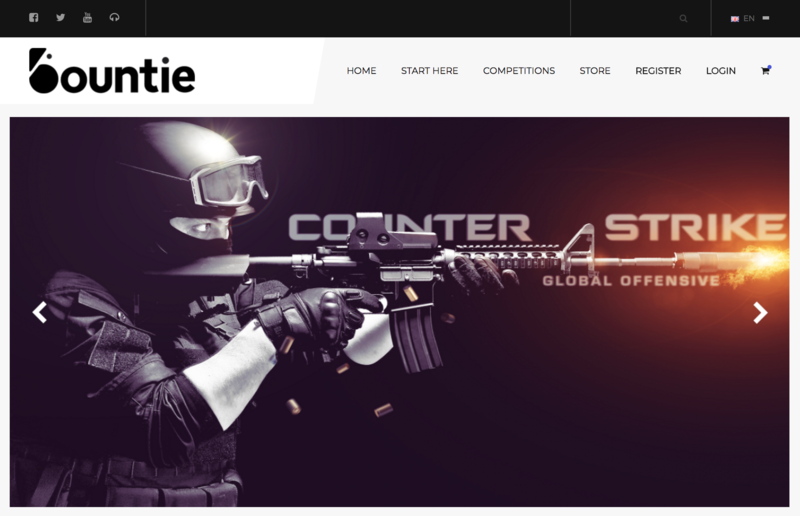 Gained over 5,000 gamers interested in Bountie – Over a span of 3 months, we’ve built our presence in the gaming community and increase our database by 5,000 interested gamers. We released our corporate video to showcase what Bountie is all about and our vision for Bountie tokens. It was so great to film and produce because everyone in that video is part of Bountie. We have collaborated with other ICO companies for events such as Viola.AI and Chynge. In these events, we share about what Bountie is but more importantly, how blockchain is utilised in today’s industries. There so much value in learning about blockchain, cryptocurrency and ICO. 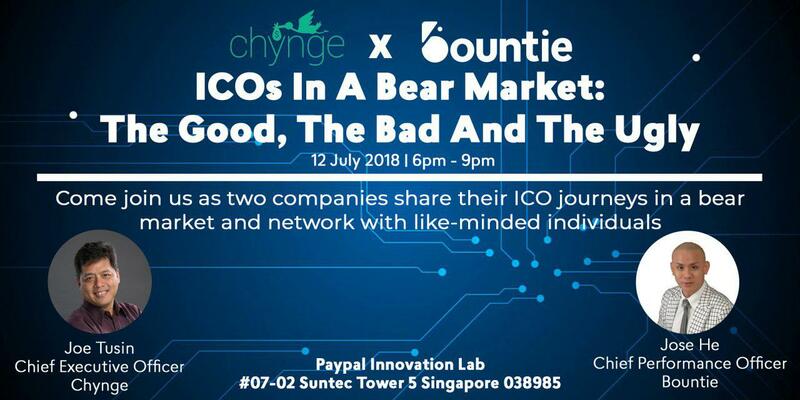 In fact, we have another event coming up in July where we will share the struggles of raising an ICO in a bear market. Be sure to RSVP at bit.ly/ChyngexBountiePanel. Our demo version is far from what we envision for Bountie but we released it as a way to show the basics of what we are building. Bountie platform will be used for gamers to create a profile, compete in tournaments and earn Bountie tokens. Through our demo, users will be able to understand more about Bountie’s vision. Before releasing our demo, there is a lot of confusion over Bountie’s business nature. People were asking us whether we are game publishers or developers. We understand that everyone knows the foundation of tournament hosting platform, so we build this simple demo to explain our idea better. Don’t worry; we are still working on our actual Bountie platform which we will cover below. Bountie’s platform focuses on hosting tournaments that gamers can create and compete to earn Bountie tokens. Unlike the demo, our platform is full of Bountie’s theme. When you look at it, you’ll know right off the bat that it’s a Bountie initiative. Tournament browsing – Easily look for tournaments the way you’d search for a Netflix film. Tournament creation – Start creating and competing in tournaments with 4 steps. We recently added a ‘save draft’ function for tournaments. Friends Management – Add contacts to your friends’ list and message them directly on the platform. Bountie Wallet – Safekeep the Bountie Tokens you’ve earned on the platform, so you don’t need a separate Tokens portal. Q2 has been quite an experience and Q3 is going to be better as we are launching Bountie’s MVP. In the coming 3 months, our product team will work on testing and improving the MVP, and you can hope to give it a try toward the end of Q3. We are also preparing for our ICO which will take place in late September to early November. Our team is continuously working to build presence via both online and offline marketing. Bountie will be participating in events across Asia so better keep an eye out.